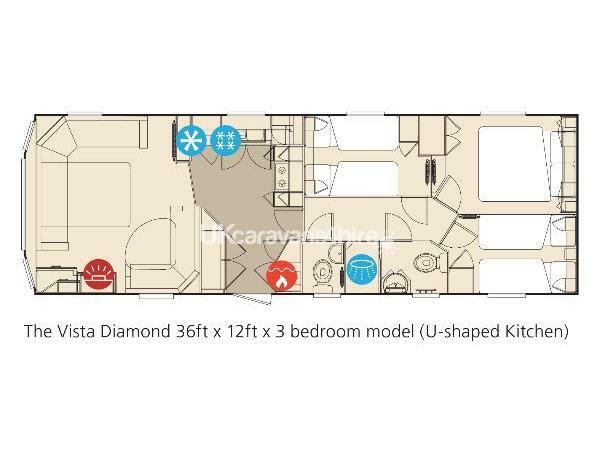 Foxdown 8 is a 'Platinum Grade' ABI Vista Diamond caravan (36ft x 12ft) with double glazing and central heating. 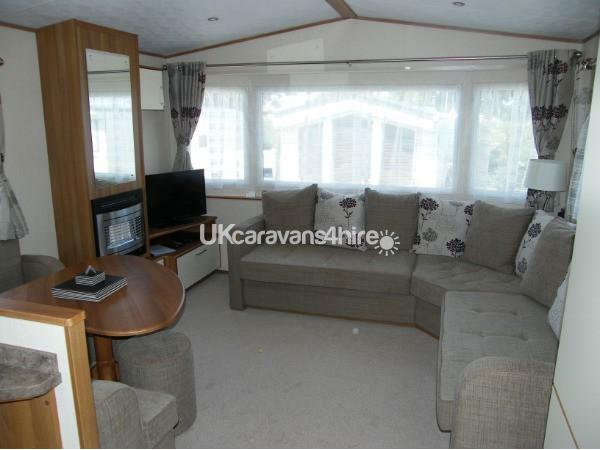 It has a double bedroom with fitted wardrobe, over bed storage, bedside tables, reading lamps and a safe. There are two further bedrooms with twin beds, single wardrobe unit, over bed storage and a bedside shelf. 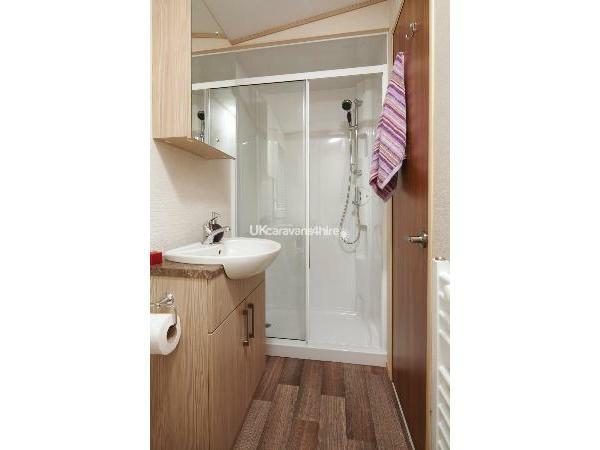 The main bathroom consists of a toilet, large shower enclosure, sink with under cupboard storage and a heated towel rail. In addition to the main bathroom, there is a separate toilet with wash hand basin. The lounge area is fitted with a large seating area with double sofa bed, a gas fire, 32" digital TV and a DVD player. The dining table is also located in the lounge area with bench seating and two stools. The kitchen is fitted with a cooker with oven and grill, a toaster, microwave, integrated fridge/freezer and a Dolce Gusto drinks machine for those coffee lovers. There is also ample storage above and below the work surfaces. Outside is a large decking area and a private grassed area with a picnic table, parasol and private parking for two cars. 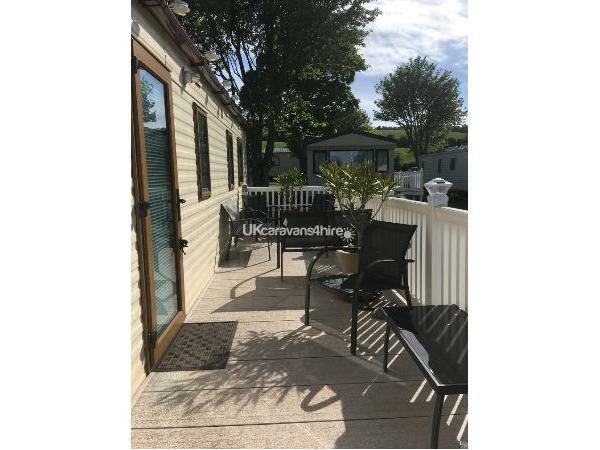 We have two other caravans on this site, please see Ref: 2063, Ref:5518 and Ref: 2321 on this website. No reviews found. If you have recently stayed in this holiday home please leave a review, it only takes a few moments and will really help future guests when they are searching for holiday accommodation at South Bay.